Longhorn Youth Lacrosse Association (LYLA) is a non-profit organization formed and run by parent volunteers in 2009. 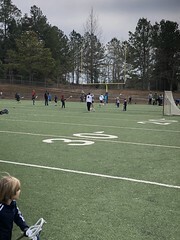 LYLA's goal is to develop, promote and administer recreational youth lacrosse programs for boys and girls in grades 1-8 who reside within the Lambert High School district. LYLA encourages good sportsmanship, stresses the development of lacrosse fundamentals and provides fun and safe programs in which our kids can learn and play the game of lacrosse.